University of Michigan Ross School of Business, M.B.A.
Mike DuBay is a partner in our Corporate department, leader of the Private Equity practice group, and a member of the firm’s Board of Directors. 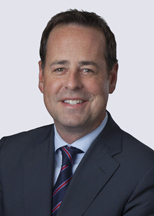 He has nearly 20 years of experience representing the unique needs of traditional private equity and venture capital sponsors, family offices, and independent sponsors in their acquisition, financing, investment, and disposition activities. 2018 – "Michael DuBay advises clients on acquisitions and sales in the private equity market and is praised by one source as 'one of the go-to lawyers in town.' He assisted Rockbridge Growth Equity with its acquisition of Kings III of America." 2017 – "Michael DuBay advises on a range of acquisitions and dispositions as well as matters of corporate governance. He co-heads the firm's private equity practice and is described by sources as 'a fabulous lawyer' with a 'terrific' reputation in the market." 2016 – "Michael DuBay has over two decades of experience in the corporate market and is described by commentators as a 'very bright, practical and reasoned lawyer.' He routinely advises prominent clients on finance and investment deals, as well as a range of complex M&A transactions." 2015 – "Michael DuBay has a fine reputation in the private equity and venture capital arena, and excels in secured and subordinated financing. He is also much sought after for his corporate governance work." 2014 – "[Mike] leads the firm's private equity practice group, and is recognized in particular for his abilities within the spheres of private equity and venture capital. He is praised as solution-oriented and 'practical, effective and tough.'" 2013 – "'Very strong practitioner' Michael DuBay is noted for handling private equity transactions. Clients highlight his 'good commercial instincts' and 'deep transactional experience.'" 2012 – "Michael DuBay is commended for his transactional work involving private equity and venture capital funds. Clients praise him as a 'very strong negotiator who puts us in a very favorable position in our deals.'" 2009 – "Clients rated Michael DuBay as 'one of the best deal attorneys around', with 'a deep and broad knowledge of the M&A space.'"